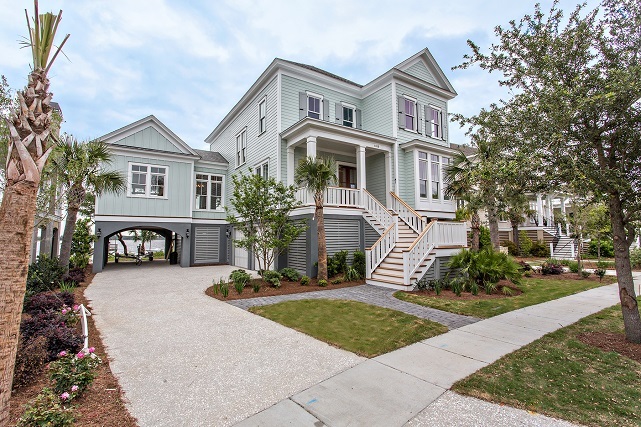 In time to enjoy the best of summer, this newest JacksonBuilt Custom Homes project is located on a deepwater homesite in the Smythe Park neighborhood of Daniel Island. The five-bedroom home was designed to make the most of riverfront living – from a peaceful morning cup of coffee to open-air parties on the home’s shared dock. The front of the home features a tabby drive and a graceful porte cochere which can fulfill a multitude of uses, from a sheltered outdoor spot for shrimp boils and oyster roasts, to a convenient space for boat and water toy storage. Exterior colors of blue and grey are a peaceful counterpoint to the everchanging vista of river and sky. 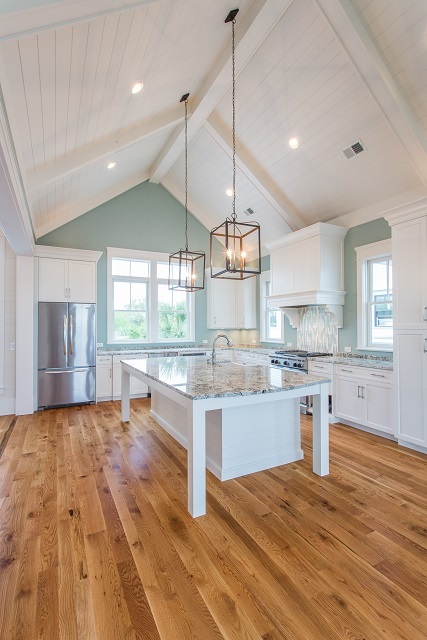 A vaulted ceiling in the gourmet kitchen welcomes guests and riverfront breezes. The adjoining dining area features double doors which open to the screened porch for a seamless space. 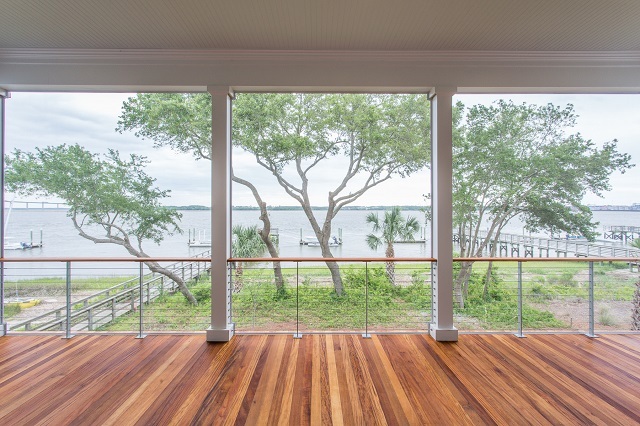 Beautiful views of the river from the rear porch are kept clean of visual clutter. The stainless-steel porch railings maintain a low-profile so as not to impede sightlines.